Daugherty Business Solutions, a premier provider of business and technology solutions, is proud to announce that the Daugherty Creative Services team has been recognized nationally for excellence in creative projects. The team was recognized as an AVA Digital Awards Gold Winner in Motion Graphics Animation and a MarCom Awards Gold Winner for Creative Social Media Campaign. In addition, the team brought home three separate awards for video production including a Platinum award for their United Way Flagship Campaign video. The video work provided a professional quality piece the United Way of Lake County would not have been able to afford on their own, Snodgrass said. You can view the United Way Flagship Campaign video here. The AVA Digital Awards is an international competition that receives thousands of entries every year and recognizes outstanding work by creative professionals. 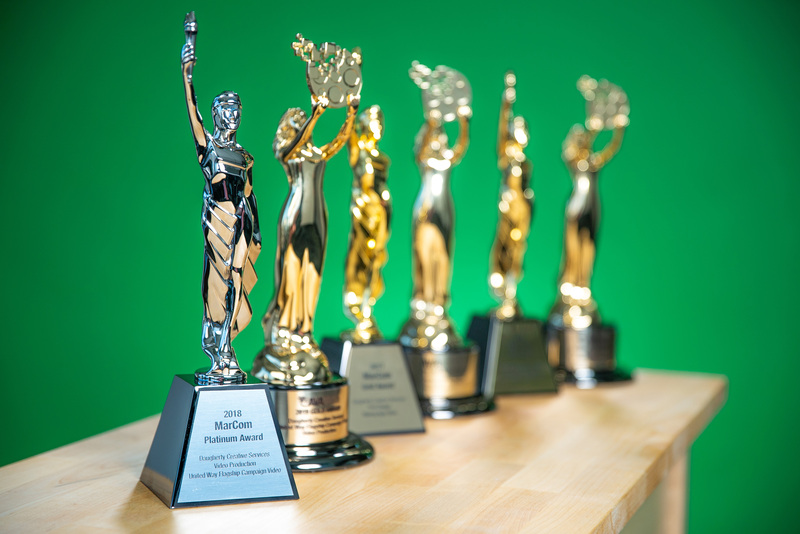 The MarCom Awards is one of the largest and most-respected creative competitions in the world, receiving over 6,000 entries each year from some of the largest agencies and marketing departments from around the globe. Daugherty’s Creative Services organization is a nationally recognized, award-winning creative group dedicated to helping clients by taking the complex and technical and making it clear and relatable. We are problem solvers, innovative thinkers and visual designers. We partner with organizations from concept to completion with specific expertise in areas like video production, graphic design, event marketing, brand development, campaign design and more.